All the adult Stifnecks in one easily adjustable, fully assembled collar! Just measure the patient, select the size, adjust, and lock-four simple steps! This collar fits all adult patients and delivers the same superior immobilization you expect from Stifneck collars. Now available in Olive Green color. 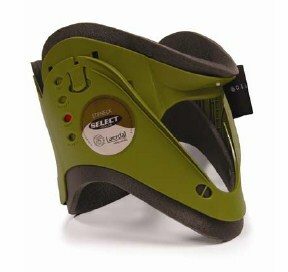 Same features as the Adult Select collar, but the Olive Green Select has been designed for military personnel.